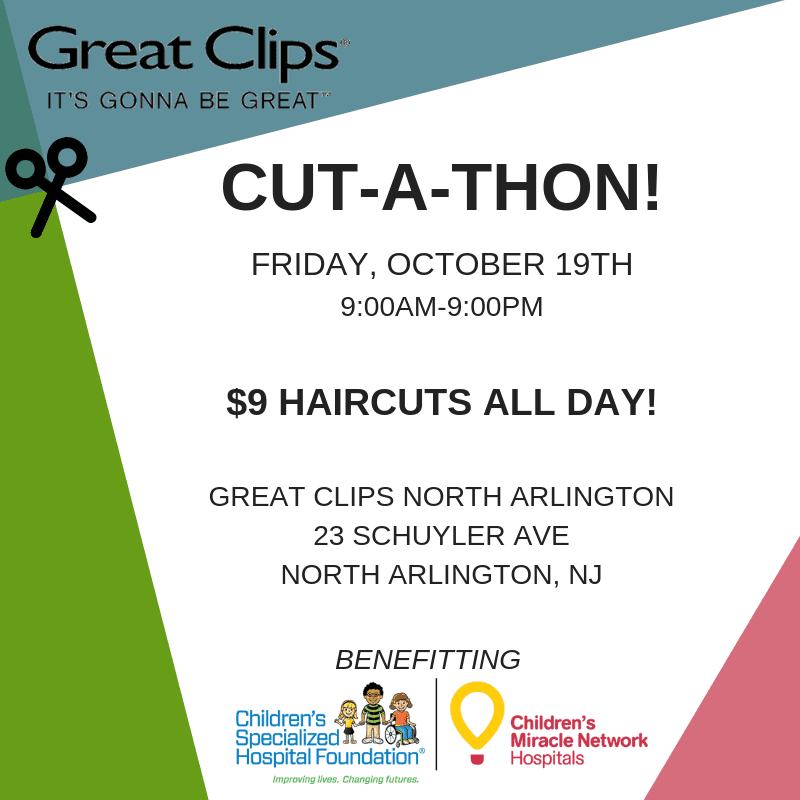 On Friday, October 19th, North Arlington Great Clips is hosting their second annual Cut-A-Thon for Children’s Specialized Hospital! For one day only, from 9am-9pm, you can get a haircut for $9 and half of the proceeds will come back to CSH! Thank you North Arlington Great Clips for supporting your local Children’s Miracle Network Hospital! We look forward to a fun and successful day of giving back to local children and families! Previous post: Northern Elite raises lifetime total of over $250,000 for Children’s Specialized Hospital! Next post: WALMART AND SAM’S CLUB REACH $1 BILLION IN NATIONAL FUNDRAISING CAMPAIGN!